Marvel announced today that CAPTAIN AMERICA 2 will bring the Red, White, and Blue back to a theater near you on April 4, 2014. 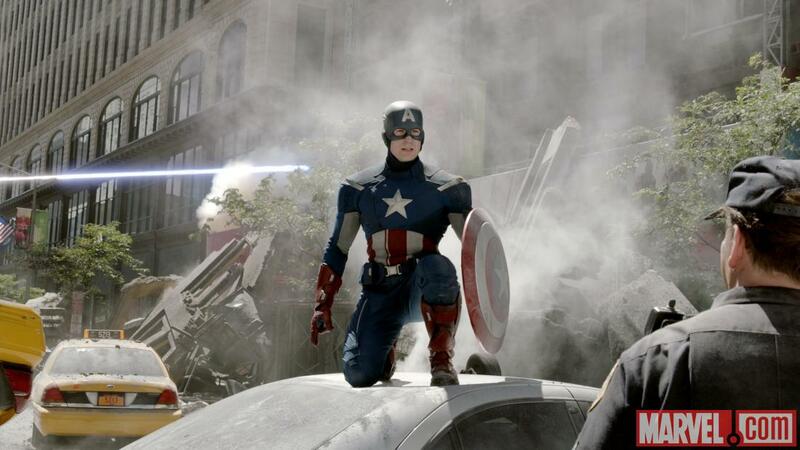 Marvel and the Walt Disney Studios have announced a release date for Marvel Studios’ sequel to the blockbuster “Captain America: The First Avenger” on April 4, 2014. The second installment will pick-up where the highly anticipated “Marvel’s The Avengers” (May 4, 2012) leaves off, as Steve Rogers continues his affiliation with Nick Fury and S.H.I.E.L.D., and struggles to embrace his role in the modern world. One would have thought the release date announcement would have arrived with a director (or directors) attached, but Marvel must still be sorting through their options of how many seats they’ll need behind the camera. Take note of the “struggles to embrace his role in the modern world” bit, which indicates we won’t be getting another WWII adventure. I wonder how much the script will draw from the excellent Cap comics written by Ed Brubaker. Hopefully a lot.